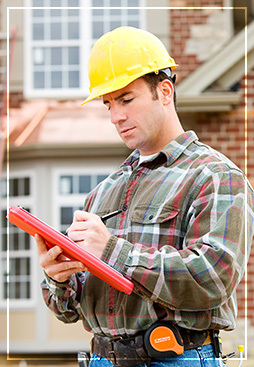 These inspections should be performed by an expert with years of experience. At Patriot Pest Management, our inspector has 30+ years experience in the pest control industry and is also a licensed contractor. He can determine if any reported damage is structural and the extent to which any repairs are needed. The CL-100 report is a vital inspection generally performed at the request of the buyer prior to the purchase of a residential or commercial property. The residence is inspected for all wood destroying insects and wood destroying fungi. The inspections include the interior, exterior, attic, crawl space and garage, if applicable. The CL-100 report is often mistaken as a termite letter or termite inspection only, but it is much more than that. We report termites, powder post beetles, old house bores, carpenter ants, carpenter bees, moisture readings and moisture problems, and fungi or rot damage. To learn more or schedule an inspection, contact us today! Note: No discounts offered for CL-100 reports.